Buttercup Creek Rd is the westerly continuation of Brushy Creek Road. From the corner of N. Bell (old Hwy183) and Cypress Creek Rd, go North one more light to The Buttercup Creek Shopping Center on the left. 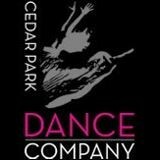 Enter, and travel to the far end of the strip mall to find Cedar Park Dance Co.
Alternatively, there are entrances to the shopping center off of Buttercup Creek itself (West of N. Bell/old 183), and the studio is at the far right end of the shopping center. Morning classes meet in studio 1 in the front of the building, and afternoon classes meet in studio 6 way down the hall in the rear of the building.